Our work receives industry-wide recognition. Within the industry, Sky Creation is the first to be accredited Singapore Quality Class (SQC), and among the pioneering few to earn ISO and OHSAS certifications for compliance to stringent regulatory codes. 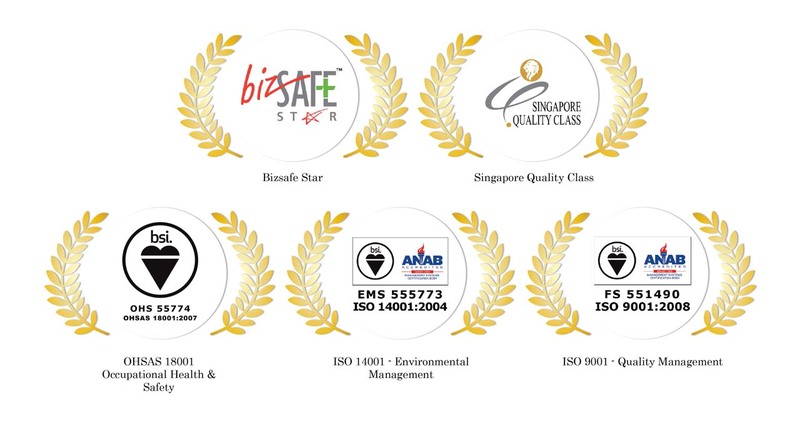 We are also the first among our peers to receive BCA Green Mark, Singapore Green Label and BizSafe Star certifications.